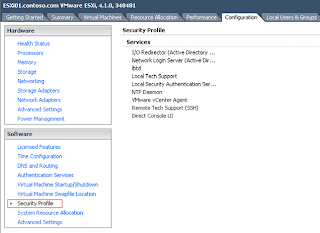 When you press [Alt] + [F1] in ESXi console, you can access the Tech Support mode. By default, this setting is disabled. Press [Alt] + [F2] to return to console. To enable Tech Support mode, there are 2 methods. 1. At the console, press [F2]. 3. Select "Troubleshooting Options", press [Enter]. 4. 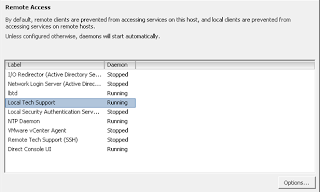 Select "Enable Local Tech Support", press [Enter]. 5. 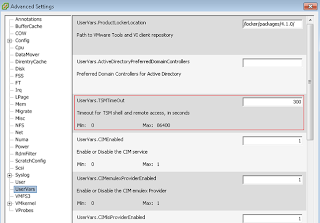 Select "Modify Tech Support timeout", press [Enter]. 6. 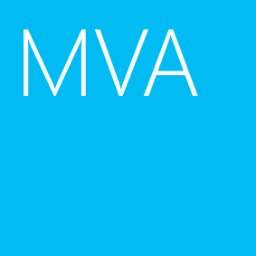 Provide a timeout value, press [Enter]. 8. Press [Alt] + [F1] to enter Tech Support mode. 1. 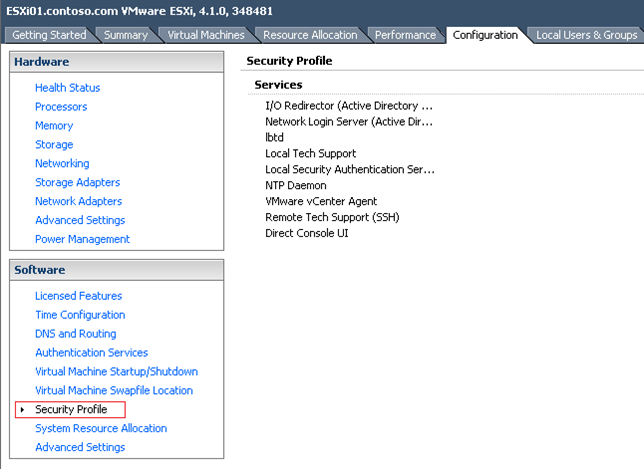 Log in the ESXi server by vSphere﻿ Client. 3. Next to "Software", select "Security Profile". 5. Select "Local Tech Support",﻿ click "Options". 6. 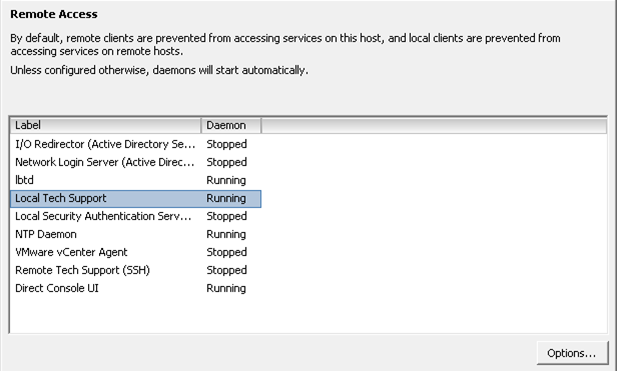 Select "Start and stop with host",﻿ click "Start". 8. Next to "Software" section, select "Advanced Settings". 9. At left pane, select "UserVars". 10. 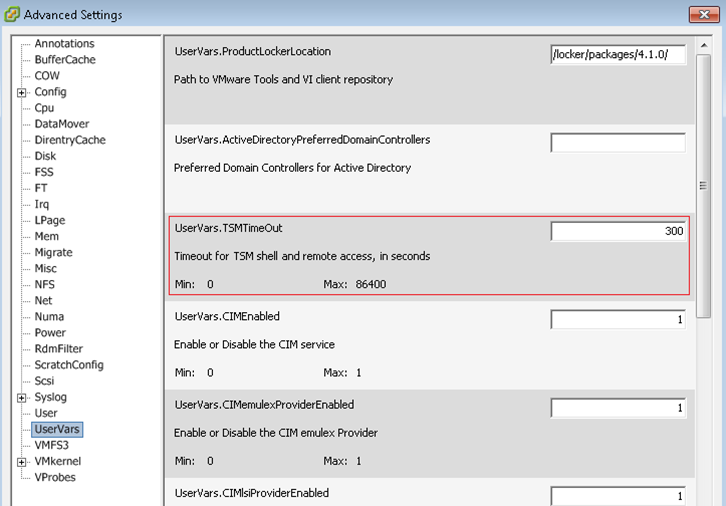 At right pane, next to "UserVars.TSMTimeOut", provide the timeout value.